It points toward all sorts of commerce that might take place on Facebook. I’ve long believed that Facebook is ideally positioned as a “social shopping” platform. But this is just the beginning of transactions on the social network, which could eventually become a significant source of revenue for Facebook in addition to advertising. Clarinova: The Rebirth of StepUp? I spoke to the founders of Clarinova a couple of weeks ago and last week the company formally put out a press release announcing its existence. As I heard them describe their relationships with product makers and brands and their efforts to build websites and manage them for independent local retailers I was strongly reminded of StepUp, which sold several years ago to Intuit for $60 million. 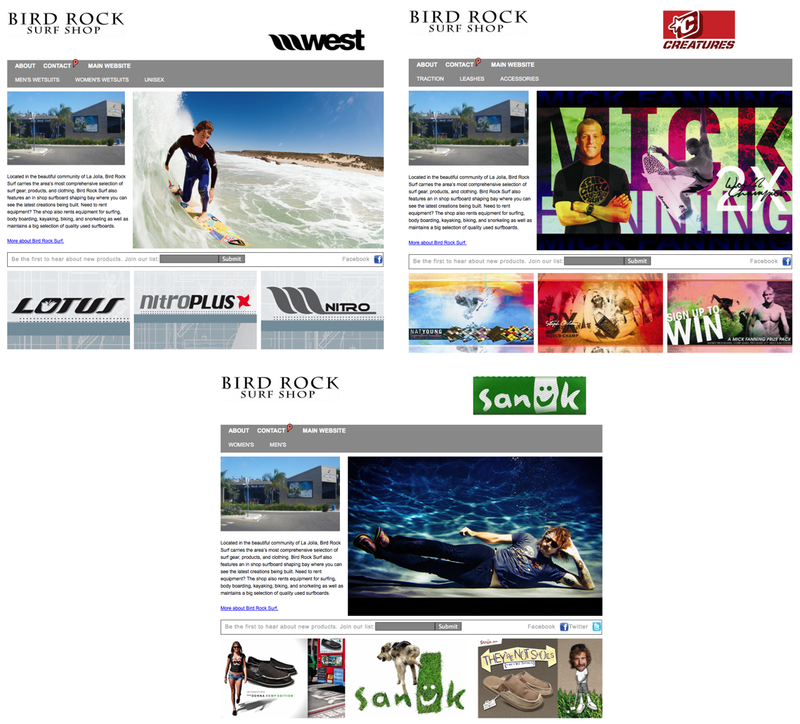 Clarinova builds microsites for individual brands and their corresponding local retailers. Effectively the firm tries to help people locate places to buy products offline, but there are some interesting other angles as well. Clarinova is a collaborative marketing company working with manufacturers and retailers to grow and satisfy market demand for manufacturers’ products by creating a powerful online presence. Clarinova bridges the gap between creating a brand and making certain it is well-represented on retail websites and across the Internet. On a standalone basis or in conjunction with your existing Web marketing staff, Clarinova adds greater efficiency to your operation by creating a systematic path for your brand to increase visibility rapidly across the Web. We help retailers and consumers find you—on shopping websites, search engines, comparison engines, social shopping sites, and retail store websites. Clarinova’s Front Window platform advances your online branding efforts so you can focus on the rest of your job. Because the company works directly with brands/manufacturers, Clarinova also has some decent visibility on in-stock items at independent retailers, though the systems (or lack thereof) in use make real-time inventory determination a problem. But because the company knows when and how many products have shipped and generally how long they remain in stores, there is some probabilistic calculation that could go on. But real-time inventory is not the thrust of the company’s immediate efforts. Clarinova is working with brands to help consumers, using search engines, find local stores where they can buy products. It’s quite a bit more involved and sophisticated than a pure store locator strategy. It doesn’t rely on the consumer finding the brand’s website and then finding the store in his or her area. It “syndicates” that information out through search to the broader Internet. 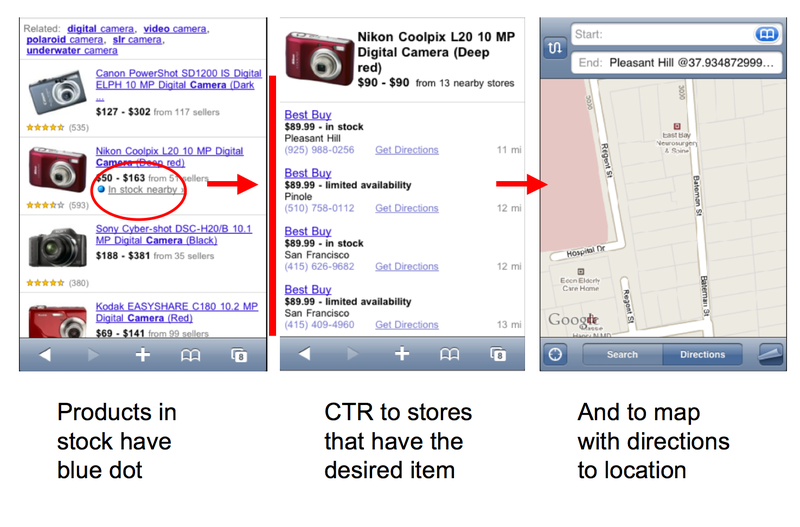 And there’s lots of SEO value for both the stores and the brands here. In terms of competition, there are general Web design firms and several companies (Krillion, Milo, NearbyNow, Google) working on real-time product inventory. And there are lots of firms providing local marketing services to local service businesses. But there isn’t anyone doing exactly the same thing that Clarinova is: working with manufacturers to bring small retailers online and connect buyers to their local stores. Related: Here’s Clarinova’s overview deck on SlideShare. Early iPad Sales: Fanboys or a Major New Hit? At one point yesterday it was being reported that Apple was selling 20,000 iPads an hour on pre-order, according to “back of the envelope” estimates. Today the news comes, from the same sources, that Apple likely sold 120,000 iPads yesterday (day 1). Nearly 120,000 iPads sold. Their math: 124,596 (orders of all Apple products Friday) minus 16,500 (the average number of online orders on a normal day) times 1.11 (the average number of iPads ordered per customer) equals 119,987 iPads. Wi-Fi over Wi-Fi+3G. Customers preferred the cheaper (and available April 3) Wi-Fi-only iPad over the Wi-Fi plus 3G model (due out at the end of April) by roughly two to one. 16, 32 and 64GB iPads are equally popular. Pre-orders were almost evenly split between the 16, 32 and 64 GB models, with a slight preference for the least-expensive 16 GB model, which starts at $499, and the most-expensive 64GB, which starts at $699 and can run as high as $829 (AT&T charges not included). The question arises: are these the hungry early adopters and “fanboys” or is this an indication of demand that will make the iPad another huge hit for Apple? 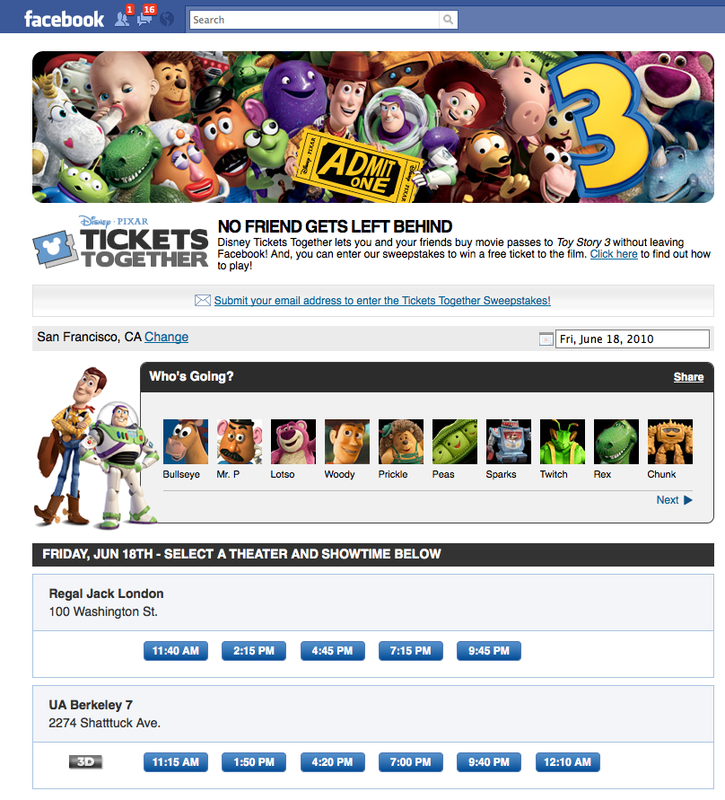 Update: There’s an estimate that in-store reservations may have reached 40K yesterday. I don’t know if this is in addition to the above figures or included in them. Update 2: Over the course of the weekend, iPad orders apparently dropped. The “final” weekend total according to the various sources estimating was 152K units. No press release this morning means Apple didn’t get sales impressive enough to tout pre-order success. if you’re searching for a product that is sold by participating retailers, including Best Buy, Sears, Williams-Sonoma, Pottery Barn, or West Elm, you can just look for the blue dots in the search results to see if it’s available in a local store. If you see a blue dot, you can tap on the adjacent “In stock nearby” link, and you’ll be taken to the seller’s page where you’ll see whether the item is “In Stock” or has “Limited Availability” near you. You’ll also see how far away the stores are from you — as long as you’ve enabled My Location or manually specified your location. This is only mobile for the time being. I have more detail at SEL and Internet2Go. Update: TechCrunch runs the sensational headline “Google Cuts Milo At The Knees With Its Blue Dot Specials.” Actually the opposite is true in most respects. This move will validate Milo and some of the other players in the segment, such as Krillion, which have been chugging along but not recognized as killer apps. Now everyone will want to talk to those folks, scared that Google will start to be much more competitive in shopping. No one can afford to be complacent; think Google Maps vs. MapQuest, which for too long dismissed what Google was doing as frivolous “bells and whistles” to its ultimate detriment. This information is far more central to the shopping experience than most analysts and marketers realize. This is what people really want: tell me what it costs, how good it is and where I can buy it. All the offline numbers are in the high 90s. In 2009, e-commerce in the U.S. managed to buck the recession that dragged down the rest of retail, growing 11% to reach $155.2 billion, according to Forrester Research. 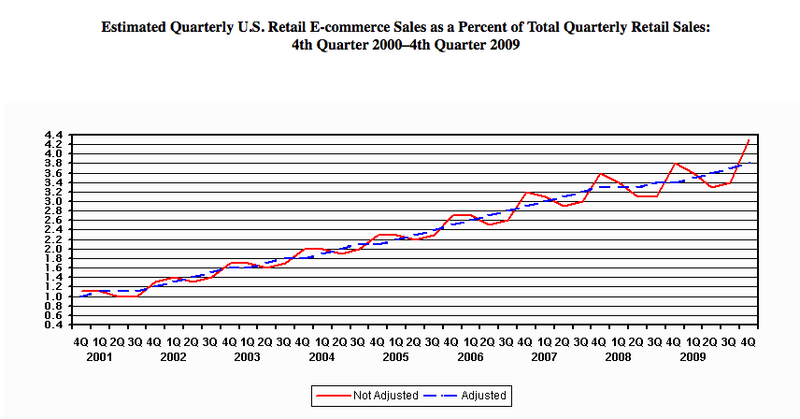 The research firm is predicting in a report out Monday that e-commerce in America will grow another 11% this year. 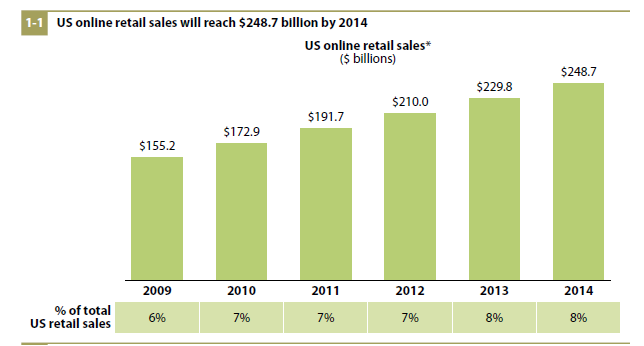 The Forrester e-commerce number from 2009 — 6% of total retail sales — is inflated. Forrester uses a smaller sample than US government data, which shows e-commerce at 3.8% of total US retail sales (in Q4). And a new area of focus for retailers isn’t online buying at all. Rather, it us using the Internet and mobile technology to influence sales that happen in stores. Already Forrester’s study found that 42% of all retail purchases in 2009 – worth some $917 billion – were influenced by the Web in some way. By 2014 that figure is likely to jump to 53%. These figures are probably off as well. The online –>offline number should be larger. 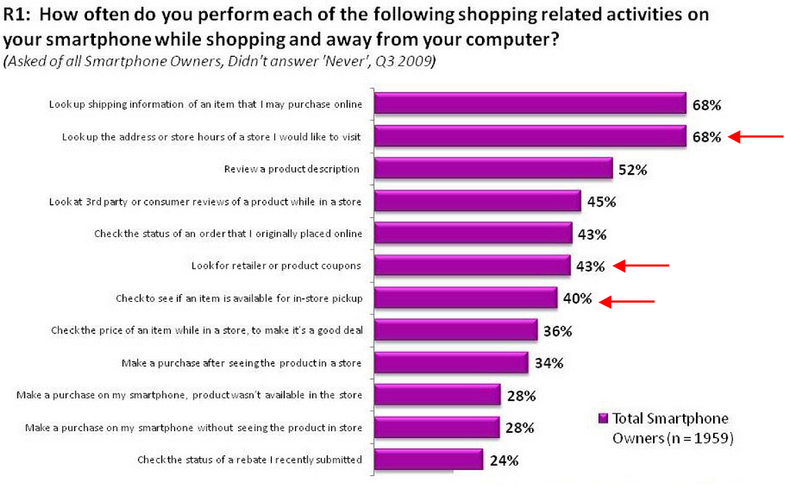 Recall that Compete/TNS conducted a survey in which it found that 94% did research online prior to (online) purchase. Prior studies by comScore, BIGResearch, Yahoo! and others have found 80% to more than 90% of consumers buying in-store have consulted the Internet for information prior to purchase. The challenge, in gaining a true picture of consumer behavior, is measuring this online–>offline impact on a campaign basis. There are various methodologies to try and get at this: call tracking, coupons, surveys, sales lift, attribution modeling. Ironically, as I’ve said in the past, mobile will likely boost e-commerce as people visit stores to check out products and then buy online if they find a better price. 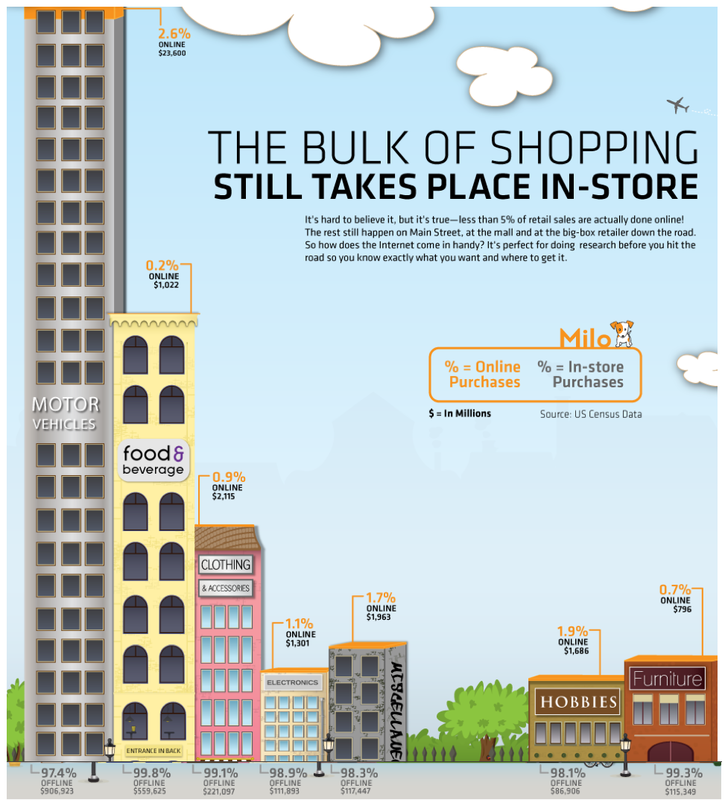 Milo.com – the Web site that enables shoppers to research online and buy local – is helping its users shop even smarter through the addition of real-time sale prices on more than 2 million products at national and regional stores throughout the country. Shoppers are now able to search over 100,000 local sale prices each day and filter by category and merchant across 48,000 retailers, ranging from Best Buy to Blain’s Farm & Fleet. Milo isn’t the first or only shopping site to provide price alerts, but it’s a nice addition to the company’s other data and features. By contrast the self-reported “session intent” breakdown data is different. General Web queries fall to 23% and local information rises to 62%. If we include “shopping info,” which is ultimately about physical places to buy things, that combined figure rises to 87%. I didn’t discuss this slide with Kapoor so I might be misinterpreting it. At a minimum it means that consumers are more interested in local categories of information than it appears on the surface. The larger point is that what the search engine sees is often different than what people want and intend. Indeed, the search engine also doesn’t capture behavior (what people do after their research). The search engine sees a meaningful but relatively smaller number of mobile queries for local information. The users report a much larger percentage of local intent queries. The problem and challenge in quantifying local search has always been in the difference between the “explicit” and “implicit” local queries, as well as capturing subsequent behavior (which reveals intent). This recognition led Google to start showing maps and local results for queries without a geomodifier, recognizing that there are lots of queries that are ultimately local where the modifier is included. Most of what happens online and certainly much of what happens on mobile devices, when commercial queries are involved, is about offline buying. The challenge has been to measure and make this phenomenon more transparent. Amazingly, most analysts and marketers still don’t clearly see or understand the behavior. But this online-offline pattern is much much bigger than e-commerce and, frankly, anything else going on online. [O]nly 6% of consumers surveyed as part of the Online Shopper Intelligence study indicated that they conducted no research prior to their last online purchase. In other words, 94% did online research before making an online purchase. While the context here is online purchase behavior, we can reasonably assume that this behavior is equally applicable to the far more common practice of buying offline. Most purchase behavior occurs offline (e-commerce is less than 4% of US retail) and these online buyers are not going to behave differently when they buy in physical stores. Prior studies by comScore, BIGResearch, Yahoo! and others have found 80% to more than 90% of consumers buying in-store have consulted the Internet for information prior to purchase: ROBO. 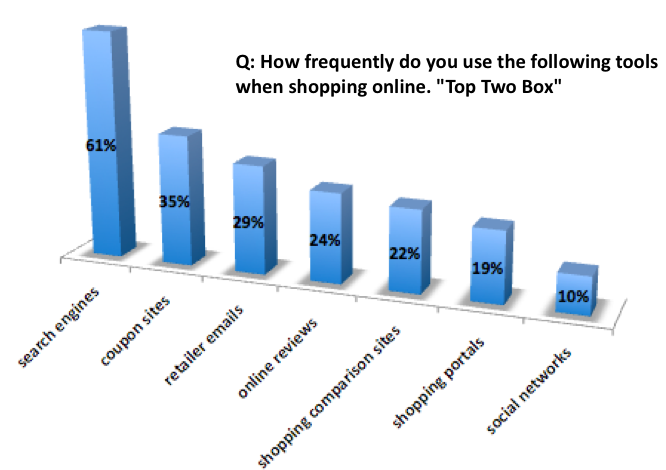 Here’s another interesting piece of data from the Compete survey, showing the continuing popularity of coupon sites. After the recent acquistion or merger of social shopping/fashion sites ThisNext and Stylehive, I started thinking about Facebook and Shopping. Facebook is the new Google in the sense that it could hypothetically “own” market segments/sectors if the company devoted itself to doing so. (This was until recently the belief about every new area Google entered.) For example, TechCrunch writes about a new “full featured” webmail being developed at FB — the implication being that it would be highly successful and potentially threaten other webmail clients (read: Yahoo). Facebook isn’t a good fit for all use cases. But it is for some. Shopping is one of them in my mind. Hearst-owned Kaboodle is perhaps the most effective of the “social shopping” sites but it’s still “under the radar” for most folks. I conducted a little poll on Facebook the other day and asked people: “If Facebook were to develop a shopping site that offered products or discounts on products would you use it?” I didn’t get many responses, which either says something about me or Facebook. But “discounts” is the key word in that sentence. Think about a deal of the day (LivingSocial) or group buying (Groupon) or simply a deal center (e.g., RetailMeNot or Ask Deals) featuring money saving offers or incentives that are then broadcast back to others via news feeds. This sort of thing I believe (assuming it’s presented well) would be a massive hit. Agree or think that Facebook is just for “silly fun”? Mike Blumenthal showed me a Google blog post I’d missed. Among other data from Google it said, “Proportion of Google result pages that show a map in search results: 1 in 13.” If you do the simple math, that’s just over 7% of pages, but it’s hundreds of millions every month out of about 9.7 billion search queries coming through Google in the US in December. This is a striking number but it’s important to note that it doesn’t define the entire universe of “local search” on Google. In the past comScore has said about 12% of search queries are local. But the company uses what I would describe as a conservative methodology to calculate this number. In particular it doesn’t capture general search queries without a geographic modifier (e.g., “dentist”), for which Google is now often showing a map and local results. My belief and argument is that “local intent” searches should be counted as those that result in an offline transaction or must be fulfilled offline. That’s hard to measure of course. But it would encompass all or the overwhelming majority of real estate, restaurant, events/entertainment and services type searches at the outset. I would also argue that because 96.3% of US retail is offline, that more than 90% of product related queries are ultimately local. They may not be “inherently” local because one can buy most goods online. But product research typically results in an offline transaction and so these searches should be considered local or implicate local at least. Once again it doesn’t matter what percentage of search queries are local as an abstract principle, the vast majority of consumer spending is offline. 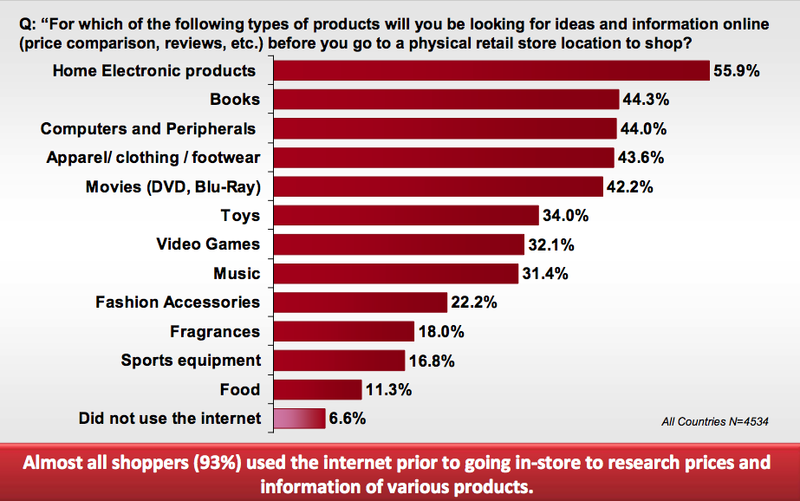 The Internet (and mobile) are instrumental in that consumer shopping and research process. The Internet is a marketing platform that influences offline consumer buying. That’s the bigger picture that we need to focus on. The following comes from a large Motorola-sponsored holiday shopping survey. More than 4,500 respondents, it was fielded in North America, Brazil, Europe and China. Just under half the survey respondents were from the US. Amid comScore headlines such as: comScore Reports $29.1 Billion in U.S. Retail E-Commerce Spending for Full November-December Holiday Season, Up 4 Percent vs. Year Ago it’s easy to lose site of what the Internet remains mostly about: Online influencing Offline. The research, conducted in partnership with an undisclosed national retailer, sought to accurately measure the impact of Internet display advertising across online and offline sales, by tracking people who had registered with both Yahoo and the store. The research found an approximately 5 percent increase in spending among those who had seen the ads – with 93 percent of those sales occurring in stores. This is 93% of people exposed to online advertising . . . bought in local stores. For whatever reason most people still can’t get their heads wrapped around this idea: people do research online (or now on their handsets) and then buy products in stores. Yes, e-commerce is big and growing but it’s never going to eclipse or even come remotely close (in our lives at least) to product purchases that happen in the world. Hopefully we’re entering a time where marketers will come to see this much more clearly and adjust their campaigns and marketing practices to account for and align with this consumer behavior accordingly. Mike Stewart points out another likely tracking scenario: “Check Ins and Mobile Barcode/Door scanners.” Me: Imagine FourSquare/Gowalla applied to retailers . . .
Before Android launched there were rumors that Google was developing its own mobile phone. Those rumors turned out to be “sort of” true as Google displayed Android, a mobile phone operating system. The company said it hoped that would spawn hundreds of mobile Android devices. Cut to a little over a year later and one financial analyst recently predicted that there would be roughly 50 Android phones in the market next year. Almost every major handset OEM has or is launching an Android line. HTC, Motorola and Samsung, in that order, are the three leading Android OEMs so far. And PC makers such as Dell and Acer are making Android handsets as well. Google is clearly aware of all of this. The deep involvement of the company with Motorola and Verizon to bring Droid to market shows how it wants to realize its vision of what Android can be. To that end in late October rumors surfaced of a new “Google Phone” — a Google branded handset that would be sold directly by the public and designed/developed substantially by Google. The rest of this post is at Internet2Go . . .
Here’s some additional detail from another post at SEL. Buried in the announcements coming out of the Google Search “Evolution” event that happened yesterday was one about local product inventory coming to Google Product Search (online and in mobile). Because there were bigger and sexier announcements most of the coverage has neglected this little detail, which Engineering VP Vic Gundotra said would happen next year. Google Product Search (formerly Froogle) has been a kind of “sleeping giant” in online shopping for quite some time. But the company has largely failed to take advantage of its opportunity and provided a very lackluster product. Indeed it created a big opening for Bing, which sees shopping as one of the “four strategic verticals” (Local, Shopping, Travel, Health). More recently, however, Google has been upgrading the product search experience and added a range of improvements and new features. Some might argue this is all a response to Bing. But they have been a longer time in coming, though perhaps accelerated by Microsoft’s competitive moves. Among the recent Google Product Search upgrades is “nearby stores,” which shows physical store locations rather than product inventory. But that’s about to change according to the largely unnoticed zinger from Gundotra. I don’t know who Google is working with or whether they’re doing it on their own; but the addition of product inventory information (both online and in mobile) is potentially a major development. We’ll have to see what shows up. Google doesn’t make any money off paid inclusion or clicks within results; it monetizes the traffic by placing relevant ads around results. 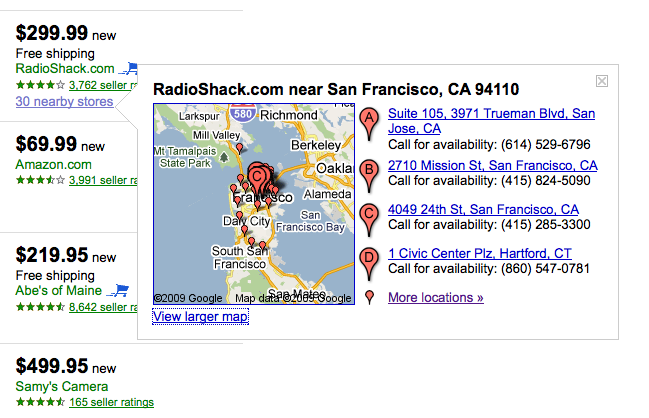 It also obviously shows product ads on Google.com SERPs. Most of the big shopping engines (save one or two) are doing search arbitrage or trying to use SEO to get traffic — essentially because they have no brands and limited consumer awareness — that they then resell as highly qualified. As you know most people do pricing and reviews lookups (research) online and then buy in local stores. The online buying is dominated by familiar brands, multi-channel retailers (e.g., Target) and most notably Amazon. The no-name etailers and shopping engines see traffic and clicks but fewer actual “conversions” for the aforementioned reasons. Even eBay is under increasing pressure and is struggling to boost traffic and growth. So what happens if Google does a good job with local inventory information? (which has literally been on the company’s radar for 5 years or more). As an aside, the reason local inventory data wasn’t added at Google before is because of a lack of scale. This soft announcement yesterday suggests that Google now has a way to do it at scale or at least has revised its expectations in the near term. If what shows up at Google Product Search in the form of local inventory data is prominent and effective it may put Google Product Search in the top tier of online shopping experiences and spell bad news for the Shopping.com’s of the world (owned by eBay). Companies like Krillion would be in a strong position — they’re already talking to everyone — because local inventory information would start to become a “defensive” necessity. Milo, as well, would/will see many BD calls and/or suitors come knocking. NearbyNow has this data but has changed its model to focus on mobile app development for magazine publishers. 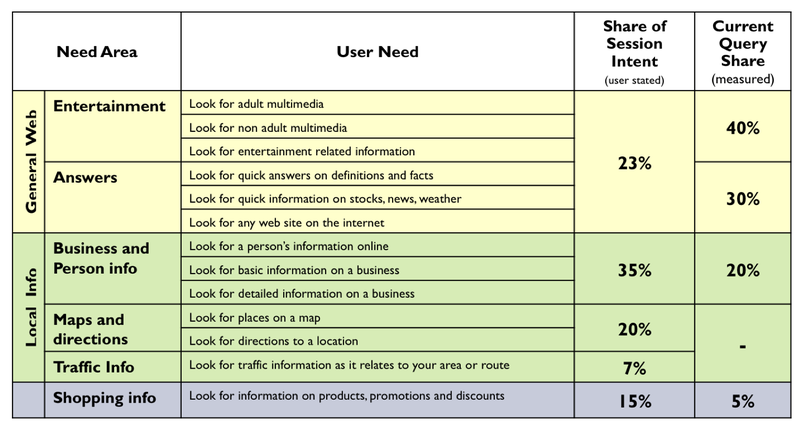 ShopLocal also has a version of local inventory information in its circular data. The addition of local inventory data combined with Google’s ability to refer traffic to itself (think Maps) could become highly “disruptive” for many online shopping players — provided that Google continues to improve its online shopping experience and leverages its PC–>mobile advantages. Somebody really needs to invent another term for “Cyber Monday.” Cyber connotes Sci-Fi (as in the 1980s novel Cyberpunk) and the Internet is now more like a toaster than something otherworldly. Consumers began looking for discounts early, with more of them visiting stores this year before dawn. An estimated 31.2 percent of shoppers were at stores by 5 a.m., compared with 23.3 percent who were at stores by that time last year, according to the federation’s survey, which was conducted by BIGresearch . . . The National Retail Federation said shoppers’ destination of choice appeared to be department stores, with almost half of holiday shoppers visiting at least one, a nearly 13 percent increase from last year. Discount retailers were also top choices, attracting some 43.2 percent of shoppers. As for online sales, comScore, the Internet research company, said retail e-commerce spending for the first 27 days of the holiday season, this year Nov. 1 to 27, rose 3 percent, to $10.57 billion, compared with the period last year. Online sales on Friday were $595 million, up 11 percent from last year. The most popular purchases of the weekend were clothing and books, according to the federation. And many more consumers bought toys, up nearly 13 percent from last year. More shoppers also bought sporting goods, beauty items and gift cards. The NPD Group said its research showed the three hottest categories to be electronics, clothing and movies. A survey released last week found that nearly nine in ten (87.1%) retailers will have a special promotion for Cyber Monday, up from 83.7 percent last year and 72.2 percent in 2007. The most popular promotions are expected to be specific deals (42.9%), one-day sales (32.9%), and free shipping on all purchases (15.7%). Half of retailers (50.0%) will distribute promotions and deals to shoppers through a special Cyber Monday email. According to the survey, 3.8% of people will use mobile devices on “Cyber Monday” (5% of men and 7.3% of 18-34 year olds). Searches from mobile devices jumped from around 5,000 on Black Friday in 2008 to roughly 200,000 this year, said Siva Kumar, chief executive of TheFind.com, a product search engine. Among the top 500 Retail Web sites, the percentage of U.S. visits were up 4% on Black Friday 2009 versus Thanksgiving Day 2009. Year-over-year the visits were down 9% compared to Black Friday 2008. The U.S. traffic to Black Friday sites on Black Friday was up 9% compared to 2008. The top visited Retail Website on Black Friday 2009 was Amazon receiving 13.55 % of U.S. visits among the top 500 Retail Web sites. This is the second year in a row that Amazon was the top visited site on Black Friday. Wal-Mart was the second most visited with 11.18 % of visits followed by Target.com with 5.65%, BestBuy.com with 4.62%. followed by Sears with 2.95%. I would argue that to this day, other than the traditional retailers, Amazon (maybe eBay) is the only online shopping “brand,” hence the traffic and sales. I would also argue that a large percentage of the traditional retailer site visits is “multi-channel”: people checking prices before heading into stores to buy items. Just to “check out the scene,” and to get my hands on a Motorola Droid, I went into my local Best Buy on Friday; it was a complete madhouse. I saw people doing price checks and lookups on smartphones and saw one woman using a barcode scanner app on a TV price tag to do the same. This is based on store locations and not product inventory data. Originally Google was taking data from ShopLocal and StepUp (now part of Intuit) and showing local stores where users could buy products in their area on Google Maps. That was maybe three or so years ago. But there wasn’t enough data and Google killed the feature. This resurrects it in a way and paves the way for future local inventory information to be displayed (you can bet on it). The dilemma for a company like Milo (which will have many suitors eventually) is whether to syndicate its data to third parties. Syndication is the fastest route to acquisition (strategic partners will want it all to themselves) but syndication will likely kill the destination dream. Milo is seeking to do what nobody has really done successfully so far: create a true online-offline shopping destination. There are several companies out there aggregating and distributing inventory data (e.g., Krillion), but no one has created a successful consumer destination. ShopLocal has largely abandoned its consumer shopping model and become a marketing services company for its retailer clients. Seeking to become that company Milo has raised $4 million from a range of institutional and individual investors. The historical challenge has been getting the inventory data and getting enough of it across categories. Milo has developed a methodology that the company believes will give it a powerful shot at becoming a shopping brand and delivering the experience that mirrors the dominant consumer shopping behavior pattern: shop online and buy in stores. Here’s my earlier post on Milo. Mobile shopping is also in the company’s near future. Reserve an iPod or Mac online today and it will be waiting for you to pick up and purchase at an Apple Retail Store from December 15 to 24. You can even have many products wrapped. It doesn’t seem to include the iPhone in the capability . . . but it’s still very smart. On one level this was what Google Checkout was originally intended to be: a trusted, simple way to pay for things across the Web. But Checkout has largely failed to gain consumer adoption to date, although Google is trying to revive it in several ways (including making it the payments platform for Android apps). PayPhrase links your Amazon.com payment and shipping information with a simple phrase that you choose. With PayPhrase, you no longer have to register or share credit card information with multiple web sites. Use your Amazon PayPhrase to quickly checkout wherever you see the PayPhrase button – on Amazon.com and other sites across the web including DKNY, Jockey, Patagonia, Buy.com, J&R Electronics, and Car Toys to name a few. I just wrote about the real-world opportunity for mobile payment systems such as Zong. That exists equally for PayPhrase and perhaps there’s even a bigger opportunity because of Amazon’s reach, trusted brand status, etc. Imagine if you could pay your restaurant bill by invoking your “pay phrase” and pin number. Very very interesting. Even if it’s limited to online payments it removes lots of friction from the system because you don’t have to get out a credit card and go through the pain of re-entering the information. This might also facilitate more e-commerce via the mobile phone — you’re in a store but you find it cheaper online — because there are no credit card numbers to painfully enter on the tiny handset keyboard.